By adding Google Contacts, you can easily create Opportunity Cards in MiniCRM for your customers, directly from your Gmail inbox. 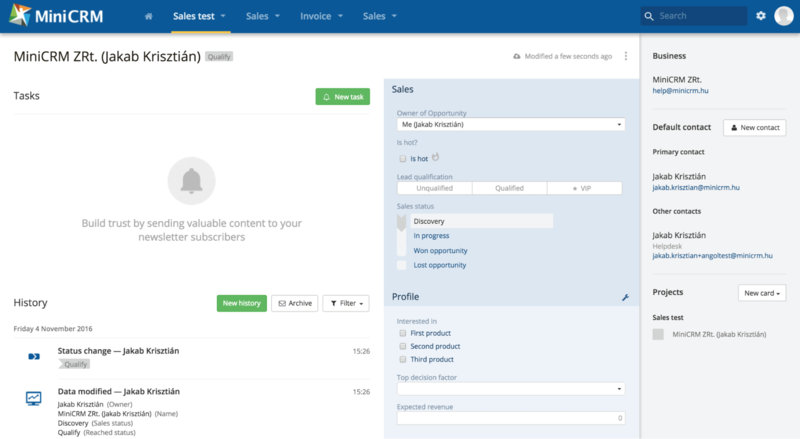 Using this feature, you can see some of your on-going sales opportunities and leads in the system. 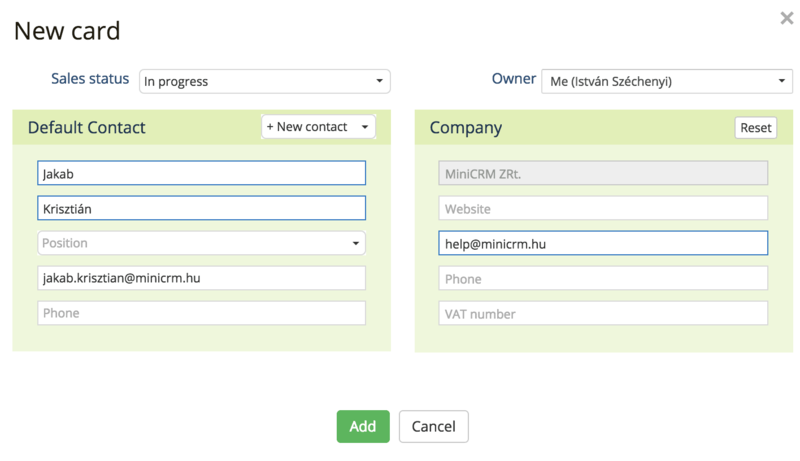 Add contact directly from your Gmail, to try out the MiniCRM with your own potential customers! From the Suggested Contacts you can choose one-by-one which customers you want to add into MiniCRM, and also choose the module for them. Your on-going exchange of letters will not be archived into MiniCRM! Step 2: Under the “Add Gmail contacts”, on the left side, click on the “ADD” link. Step 3: The first time click on it, the Google will ask for the permission for MiniCRM. This should be granted, in order to continue the process. In case you are logged in with multiple Google accounts, you should choose the one you used for logging into MiniCRM. Step 4: After the permissions are granted, you are going to be forwarded to the “Suggested Contacts” page. In this page, the system lists the 24 contact, most involved into your email exchanges. Step 5: You can select the modules with the dropdown menu, under each of the contacts. Step 6: After you selected the module, you can add the contacts by clicking on the blue ADD button. 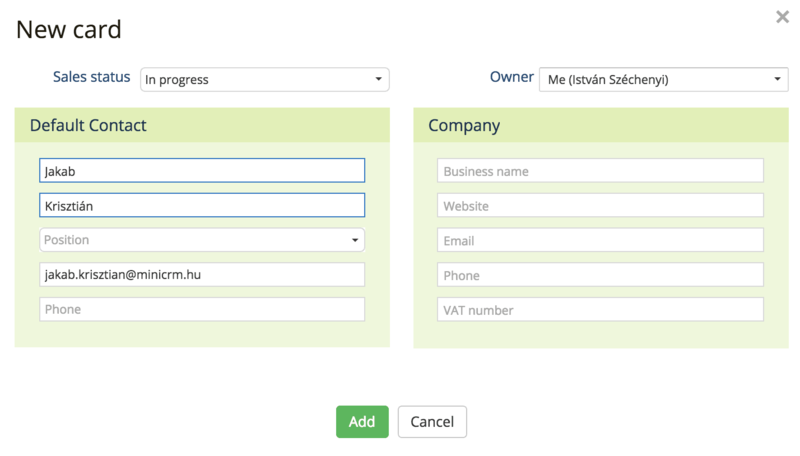 Step 7: As the “New Card” window poping up, you can modify or fill up missing datas for the contact, add a business, in addition you select the sales status and the assignee of the opportunity card. In case the company is already recorded in the system, with the typing of the business name, you can choose the company by clicking from the suggested list. This way, the contact will be automatically connected to that company. Step 8: Finally, by clicking the green “Add” button you can create the opportunity card for the contact.